The most user friendly and flexible Cad/Cam/Simulation and Communication package for the CNC industry! CamModul is really a package of tools combined into one product “CamModul”. Included in the system are a Cad-program, a Cam-program, a Simulation program, an NC Editor with communication abilities, and tools such as the postprocessor-editor. The software is built around an open architecture which means that it is possible to add new functionality using the built in application language and that the postprocessors can be tailored to meet special needs. The program is designed primarily for turning and milling but can also be used with EDM, laser, gas and water cutting machines. Our postprocessors are included at no extra cost and the latest versions are available here on our home page. We create new postprocessors on demand and the development time is very fast thanks to the very flexible postprocessor editor. CamModul has been developed since 1989 by MicroTech Systemutveckling AB. From being a small system in the beginning CamModul is today a complete Cad/Cam/Simulation- system used by companies such as Scania, Volvo, SKF, Alfa Laval and Sunds Defibrator to name a few. It is also one of the most popular systems used in the education of CNC operators. The software is designed to be easy to use and to have a very intuitive user interface. This is largely thanks to our customers who have given us many tips through the years allowing us to improve our software. Cad with advanced drawing functions and built in application language. Import/ export of DXF and IGES files for compatibility with other systems. Cam with pocket milling (including islands), advanced contours, helical milling, drilling functions, different types of turning cycles etc. 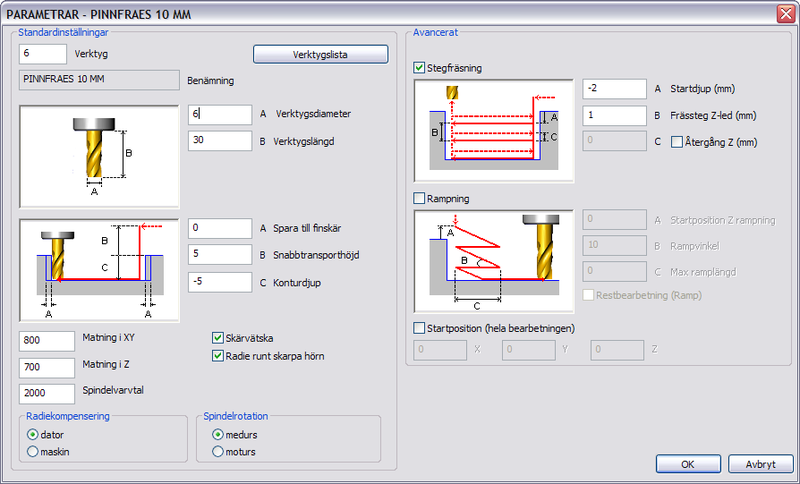 Simulation program with built in application language to create cycles etc. 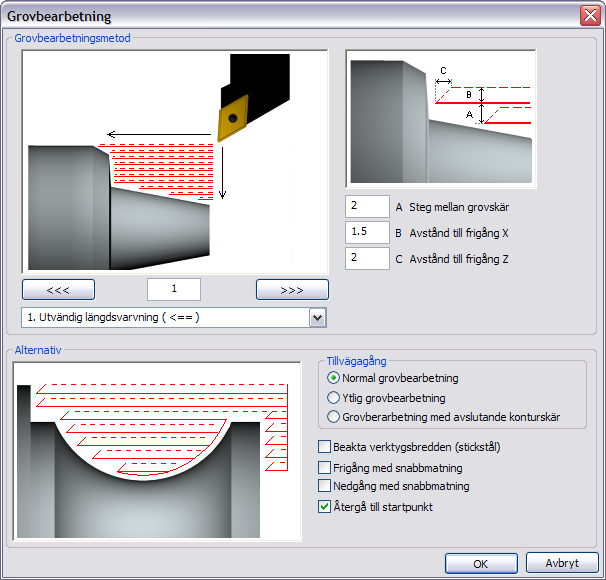 Simulation in 2D and 3D of both mill and lathe nc-code. Block graphics with the ability to “cut” apart the workpiece. Programmable NC Editor with complete communication. Postprocessors with the possibility of creating functions and cycles. The possibility to postprocess backwards, from NC programs to drawings. Simulation of machine time to aid in the calculation of costs etc. The ability to customize menus, postprocessors, applications etc.